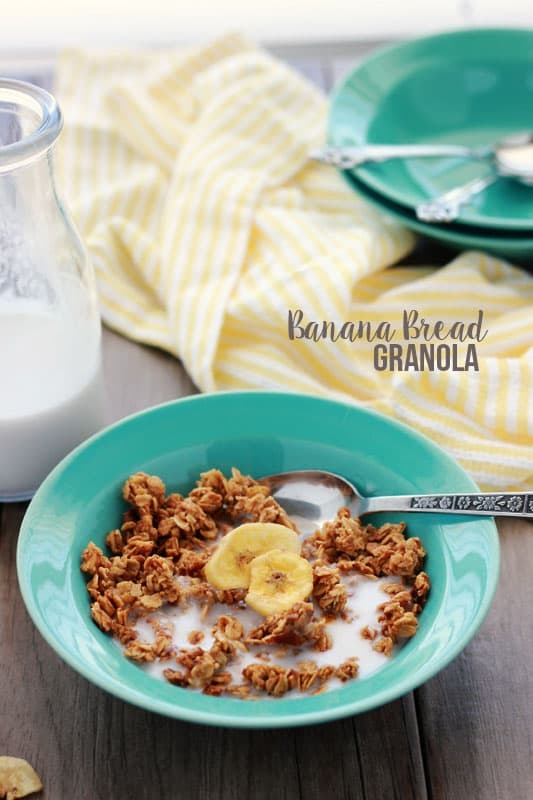 Start your day off right with this satisfyingly sweet Banana Bread Granola! 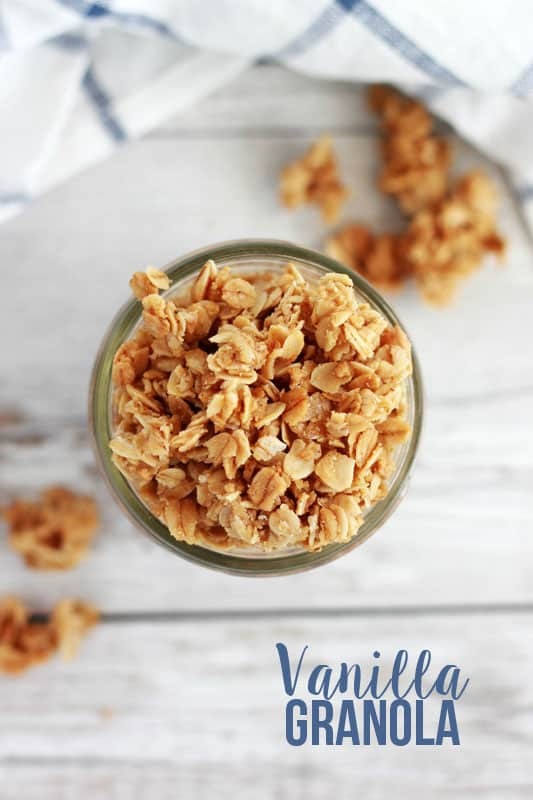 Perfect for an on-the-go snack or in a bowl of milk for a filling meal. We recently relocated our small family from Utah to Texas. Did I tell you all that? It’s a big change for us and we are both excited and scared at the same time. Mostly just worried how our little guy will adjust to the new environment and being so far away from family and friends. He’s a trooper though and I have high hopes. Especially since the 19 hour drive to Dallas was met with only one complaint from the passenger… I ate all of the banana chips from the banana granola. Before we hit the road on our insane four day journey (we split it up to help the little guy and our puppy) we headed in to the grocery store and stocked up on snacks. One of my FAVORITE things to munch on is Bear Naked Banana Nut Granola. I grabbed one bag and specifically remember asking if anyone else in the car was going to eat some. The reply? Crickets. That should mean I’m safe, right? WRONG. A day in to the trip and I had tiny hands picking through searching for the pecans and dried bananas. We were fighting over who got the big clumps of granola and who would be left with the crumb type at the bottom of the bag. It was somewhere around day three that I decided it might be fun to re create my own version and serve it up as a breakfast or snack. So one trip to the grocery store later and this is what you get! 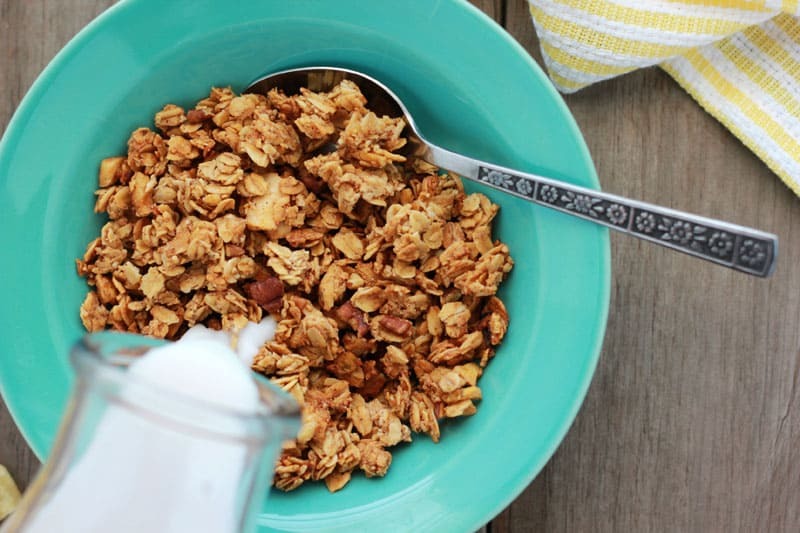 A sweet banana flavor packed cereal ready to be inhaled… er… eaten. Can you see all of the chopped pecans and banana bits floating in that picture above? That, my friends, is considered more valuable than gold in the One Sweet Appetite household. 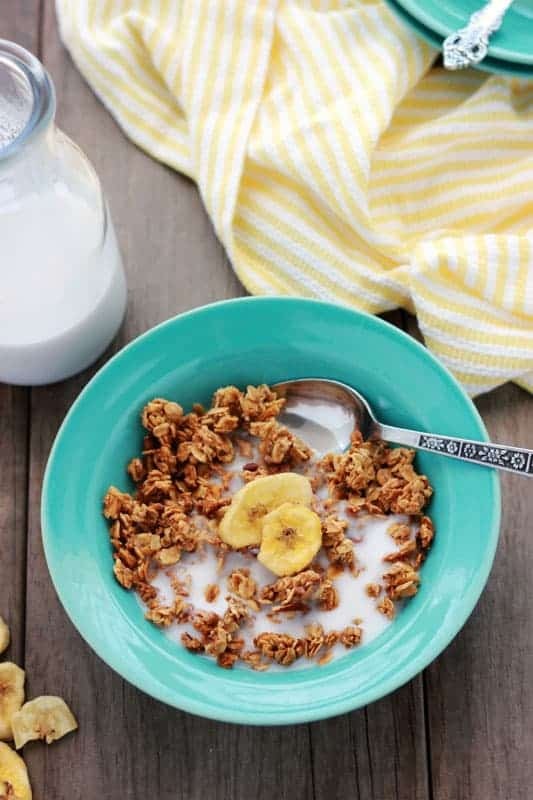 For this recipe I used my Vanilla Granola as a base and slightly altered it by adding some nuts, dried fruit, and banana. The outcome was fantastic and I honestly can’t wait to package some up to take when we introduce ourselves to the neighbors! Preheat your oven to 300 degrees. Line a baking tray with parchment and set aside. 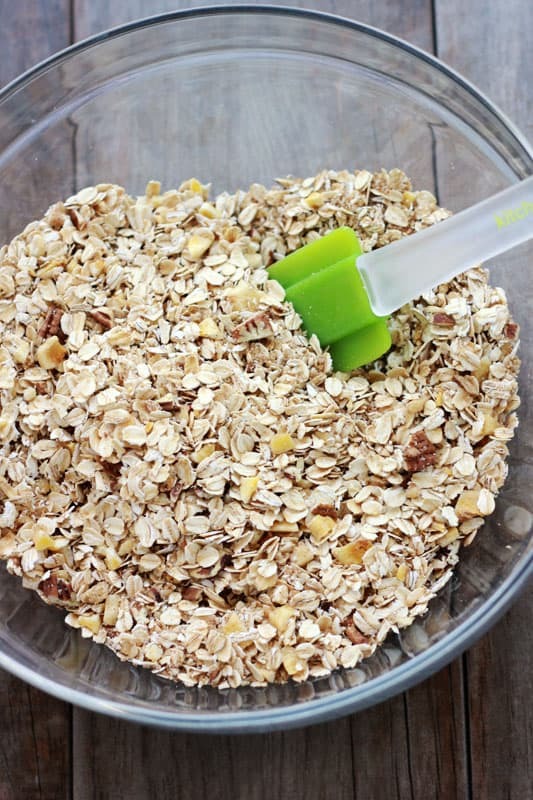 Whisk together the oats, brown sugar, salt, cinnamon, pecans, and banana chips in a large mixing bowl. In a small saucepan combine the coconut oil and honey. Heat until just warm and liquid consistency. Remove from the heat and whisk in your vanilla extract and banana. Gently stir your wet ingredients into the dry until fully incorporated. 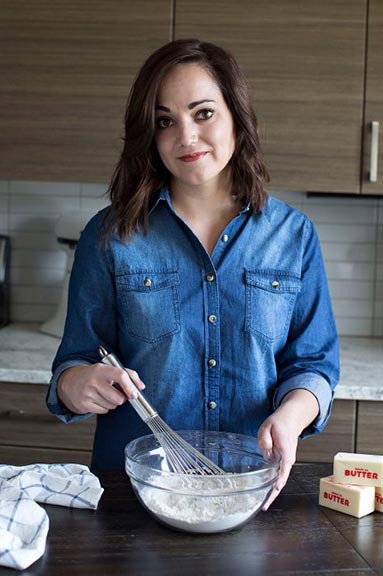 Spread onto your prepared baking tray in an even layer. Bake 30 minutes or until golden brown making sure to stir once halfway through baking. Allow to cool completely on the baking tray before enjoying. 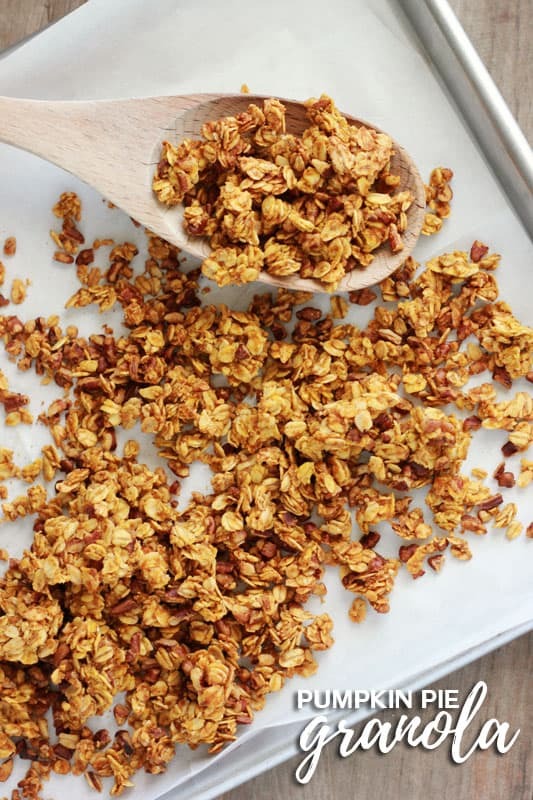 We love snacking on homemade granola! This banana bread flavor sounds so good!